Trustee Hagen has been a resident of Suffern for over 40 years. He advocates for residents, taxpayers, and merchants working collaboratively with fellow Board Members and Village staff to address Village related matters. 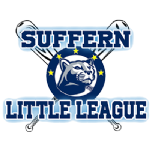 Trustee Hagen is an active member of the Revitalization Committee, Suffern Civic Association, American Legion Post 859, Suffern’s Lions Club, and Sons of Italy. Trustee Hagen is retired from the National Guard after 35 years as Logistics NCO (Vietnam era) and earned a Bachelor’s Degree in Organizational Management. Trustee Alpert has been a resident of Suffern for 27 years. He earned a Bachelor of Fine Arts from New York University and has been a Broadcast Television Engineer for over 30 years. 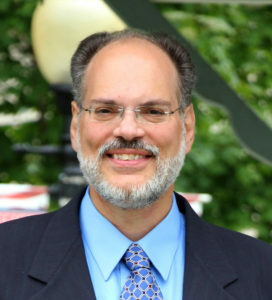 Trustee Alpert is a 6-time television “Emmy Award” winner and is an author with works nationally published in USA Today and in the New York Times. He is married to Meredith Alpert, a Psychiatric Social Worker and is the father of two children who are students in the Suffern Central School District. Trustee Girard has been a resident of Suffern for 22 years. He earned is Bachelor’s Degree is Accounting at Pace University. For the past 20 years, Paul has been employed by the Nestle Corporation, a globally recognized leader in the food and beverage industry where he leads the global procurement function for the Gerber Infant Formula and Health Sciences Divisions in Florham Park, NJ. In his previous roles at Nestle, Paul has held leadership roles Operations Finance, Production Planning, and Warehouse Management. Over his professional career, Trustee Girard has developed expertise in areas beneficial to serving our Village including budgeting, strategic planning, contract negotiation, and risk management. Trustee Girard has two children who are graduates of the Suffern Central School District and currently attending college. Paul’s finace’, Lori, has been a Suffern resident since 2005 and has two children who are graduates of the Suffern Central School District and are currently attending college. Paul and Lori are volunteer Trainers for Heroes and Cool Kids and the Keep Suffern Beautiful Program. Trustee Hertzman has been a Suffern resident for 30 years. She has 20 years of experience in the healthcare industry and worked as Insurance Collections Director for a regional radiology company. She is experienced in management and contract negotiations,proficient at budgeting, maximizing cash flow, and directing personnel. Trustee Hertzman owns a family home remodeling business in Suffern where her strong leadership and business skills are used daily in directing project management, vendor negotiation and client relations.